339885 Private Albert Burrell, the Labour Corps died 2 September 1918 and is buried in Cockfield Cemetery and commemorated on Cockfield War Memorial. He was 34 years old. In 1891 the Burrell family lived at Lands Bank and Albert’s father Jonathan, brothers John Joseph and Jonathan all worked as coal miners. In 1894, Albert’s father Jonathan was recorded as being a “sinker”. 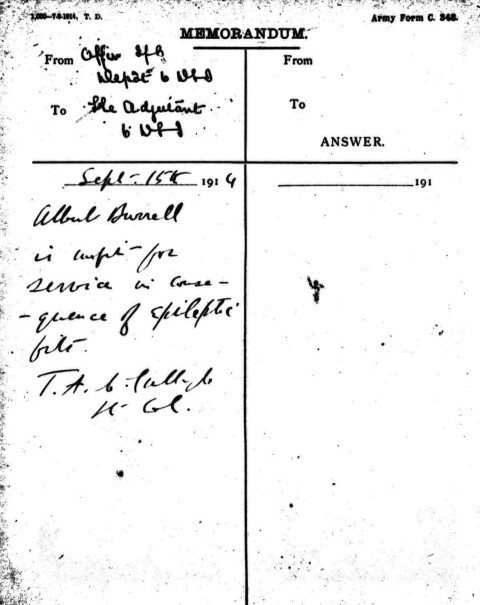 By 1911, Albert Burrell boarded with George and Mary Hutchinson. George was a farmer living at Peth Row Farm, Cockfield. Albert aged 27 worked as a miner (a roadman underground). 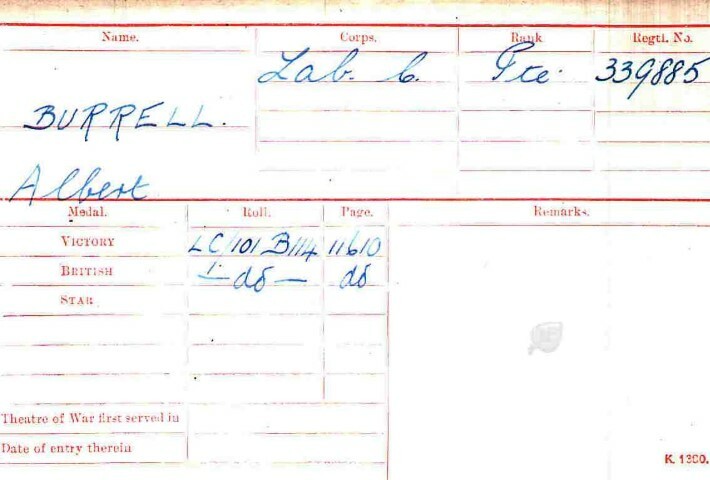 Albert Burrell attested 10 September 1914 aged 30 years 4 months and served only 34 days before being discharged as being unfit for service suffering from epilepsy. He’d previously served with 2/DLI (?) regimental number 6/2465. 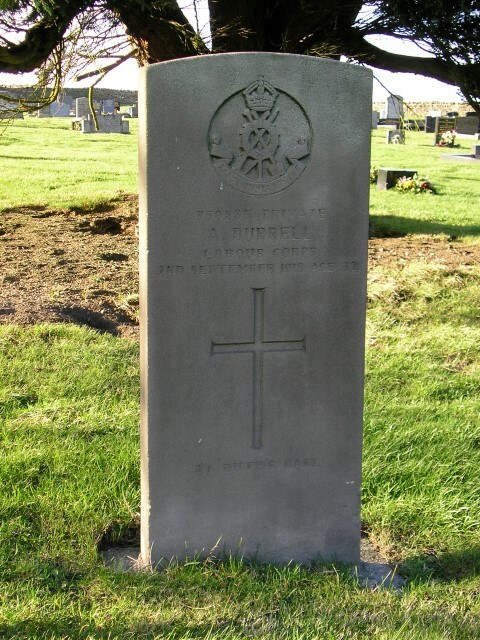 Sometime later he enlisted at Darlington into the Labour Corps being allocated the regimental number 339885. Private Albert Burrell is buried in Cockfield Cemetery.